AVC 2014 wrapped up on June 21st. It was a great event full of crazy robotics mayhem and Colorado sun. There were some notable bots at the competition this year, including a full size autonomous Jeep. The weather cooperated and only one bot crashed and caught on fire - small victories matter! We have the full list of winners below but be sure to check out our recap video to get a feel for the action. AVC 2015 details will be announced late in the year. Keep an eye on the SparkFun homepage for news and updates. If you've been before, get excited because the AVC will be a bit different this year. If you've never been, you're in for a treat! This year the AVC will be held at the Boulder Reservoir on June 21st, 2014 from 9:00am until 4pm. For 2014 we're allowing all manner of autonomous vehicle, if you can build it you can bring it. Anything goes, from multirotor aircraft to any size rover you can imagine. In another departure from years past, we're not going to limit the number of entries, so sign up! This year we've added a new feature to the ground course, a line! Now you can enter your line follower and not rely solely on GPS. The aerial competition gets a new set of obstacles, the dreaded balloons of death! Three balloons will be randomly placed in the flight path and can be avoided or intercepted for extra points! p> Student teams are also encouraged to enter. You can enter any competition (Aerial or Ground) and in any class. Your entry just needs to be 80% completed by students. When registering, let us know what school your team is affiliated with. Micro/PBR - Less than $350 total spent, or small enough to fit into box that's 10"x6"x4"
Non-Traditional Locomotion - Have a walker? A modified autonomous self-balancing pogostick, motorized hamster ball? This designation is for you. Fixed Wing - All traditional airplanes, or any vehicle with a fixed wing setup. Rotating Wing - Quadcopters, helicopters, and other contraptions with rotating wings. There are maps for the ground course and the aerial course. This is the map your aerial 'bot must be able to navigate. 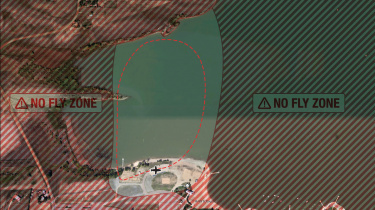 Note that most of the course is over water! Click to embiggen! This is the map your ground 'bot must be able to navigate. Click to embiggen! 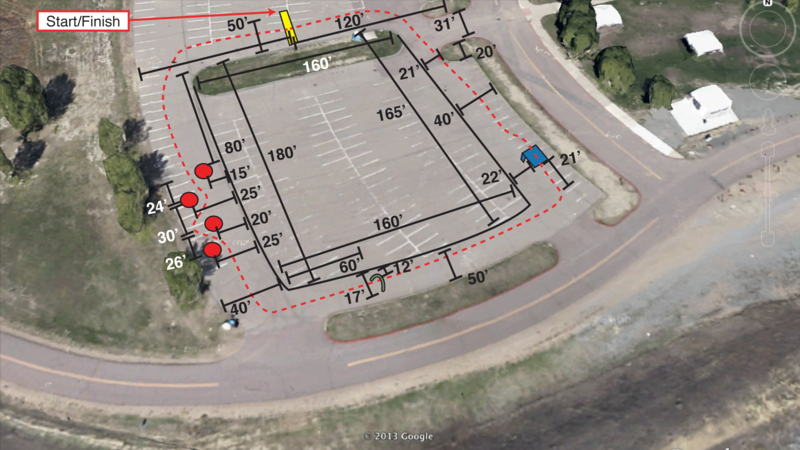 We have GPS coordinates for both courses available in a variety of formats including KML and GPX. For the ground course, you will encouter several obstacles. 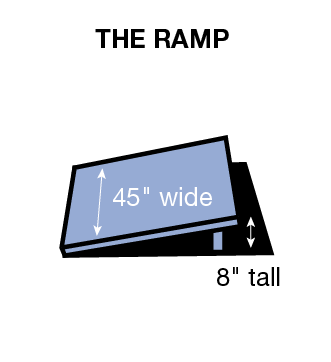 The dimensions for the obstacles can be found below. 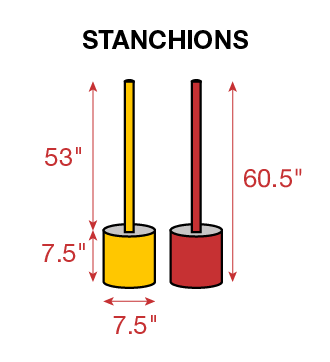 The main stanchions are red (Rustoleum 'Apple Red'), while the stanchions for the corners are yellow (Rustoleum 'Sun Yellow'). 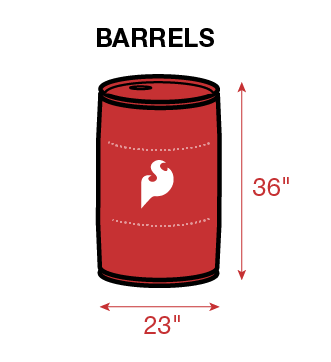 The Barrels are also red (Rustoluem 'Apple Red' as well). 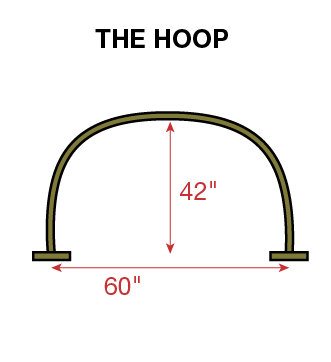 The hoop is green (Rustoleum 'Hunter Green'), and the ramp is a beautiful blue (Rustoluem 'SaiL Blue'). 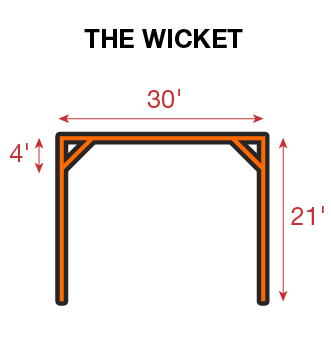 For the aerial course, the wicket is painted safety orange (Rustoluem 'flourescent orange'). 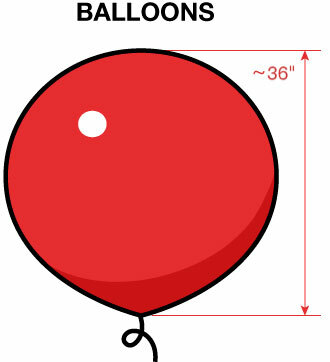 The red balloons for the aerial course are roughly 36" in diameter and made of latex. Here are the exact balloons we're using.